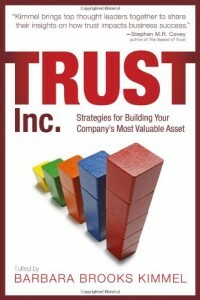 Whom do you trust on the subject of business trust? b. Fortune Magazine, who says trust in business is up these days. Here’s what each has to say. the big picture showing a broad business return to a respectable role in American culture is undeniable. Americans today trust business far more than at any time in recent years, at least by some measures. A new poll from the New York City-based Edelman PR firm, the latest in a series conducted since 2001, shows the highest level of trust in business that the poll has yet recorded: 57% say they trust business to "do what is right." That’s even higher than in the palmy days before the Enron scandal broke. A lot of business people are under the impresion that because there isn’t as much talk about the scandals, mistrust of business has receded. Research shows the opposite: the lack of trust in business has grown. At the peak of the scandals—say, in 2002—36 percent of the public agreed that you could trust business leaders to do what is right most of the time or almost always. Since the scandals now seem to be behind us, you would think that the level of trust would rise. Instead, it fell to 31 percent in 2004, and to 28 percent in 2006. So there’s a continuing erosion of trust. [we’ve had] three waves of mistrust in business and other institutions over the past 75 years…the other two waves lasted about 12 years, and we are now in the 5th to 6th year of this one…you shouldn’t be misled by the lack of media attention to the scandals, because the mistrust continues to grow. There. Now that’s cleared up—what can we conclude? To find out the answer, we turn to you, dear readers. What do you think? What has happened to trust in business in recent years? 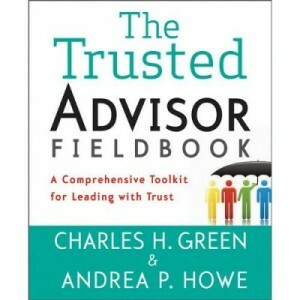 http://trustedadvisor.com/public/trusted_advisor1.png 0 0 Charles H. Green http://trustedadvisor.com/public/trusted_advisor1.png Charles H. Green2007-05-29 10:00:002007-05-29 10:00:00Who Should You Trust on Trust in Business: Yankelovich or Fortune?